To error is human and, well … to be human is to error. Errors are data. They reveal whether we hit or missed our mark. Indeed the word error comes from the same etymology as “sin,” which came from spear throwing. The Hebrew term “sin” originates in archery and literally refers to missing the “gold” at the center of a target, but hitting the target, i.e. to sin or error. 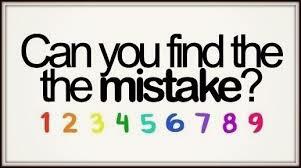 To error is ordinary, even necessary as it reveals whether we hit or missed our mark. If we are growing and learning, then errors must happen with greater regularity, especially in times of change. We cannot ever know all contingencies before taking action. Being error-free may define a most bankrupt delusion. Failure is another phenomena altogether. Failure results not from blunders but by not learning from errors! Persons of failure are fixed: they refuse to view errors as an opportunity to change, grow and expand. 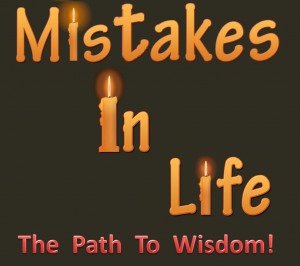 They tend to make the same mistakes repeatedly, deny or reject errors, and cannot anticipate mistakes. They believe errors shouldn’t happen. Actual failure, or not learning from errors, commits and maintains a second failure, a fundamental distortion that conflates failure with errors. When we conflate error with failure, the mind becomes smaller. To avoid failures, we begin to fear or deny errors, we avoid taking risks, we cease to seek out discoveries. Possibilities diminish for ignorance. A veneer of arrogance emerges. We live in a time of increased errors. 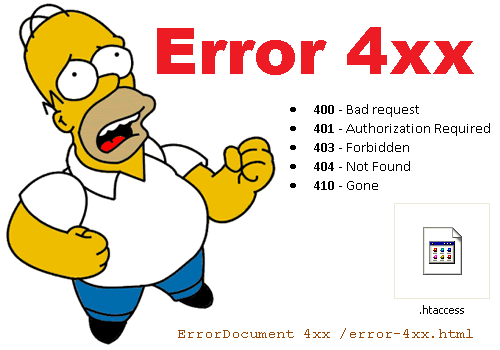 Think about all the predictable error messages we receive in a day: 404 access denied; 404 device not ready; 404 file not found; 404 low disk space; 404 out of memory; 404 incorrect web address, etc. (See the history of 404 here). What happens when we receive a computer error message: after getting a little irritated or annoyed, we shrug it off, reboot, refresh, or retype. Then, we’re off to what’s next. So then, why not deal with other mistakes in this way? Life’s greater pace of change confronts us with more choices, all demanding action. When we act, we do so based on old assumptions, relying on our previously held beliefs. Often this works, sometimes, though, we miss the mark. Consider that in such volatility and dynamic times, errors reveal our outmoded assumptions and can point to beliefs that no longer serve us. Errors point to new insights. Indeed, errors are most useful, as they reveal both concealed assumptions that no longer work, and hidden alternatives that will remain concealed without the error-event. Alexander Fleming got a Nobel Prize when he noticed that a mold had contaminated his flu cultures – but the area around the mold was clear of infection. He discovered Penicillin in 1928. Raytheon engineer named Percy Spencer was fiddling with energy sources for radar equipment. Then, he realized that the chocolate bar in his pants was melting. He discovered the Microwave in 1945. These examples reflect two mistakes that led to large-scale inventions by men who were accustomed to embracing the “hidden alternatives” in everyday errors. Embracing errors with its attendant learning is a practice that will eventually pay off. These innovators knew something special and lived by this rule of thumb: Errors reveal hidden alternatives. In other words, errors are discoveries in disguise. Now, if only we lived our lives in this manner. How many times daily do we misplace our keys, forget to charge our phone, or arrive at meetings late or ill-prepared? These simple blunders highlight outdated assumptions: pointing to new ways to prepare or organize, to discover insufficient practices, to identify gaps in upgrading systems. Indeed, today’s error in thinking can point to emerging perspectives, or unripened ideas demanding more time and attention. Ultimately, errors provide an opportunity to perceive ourselves newly. If I keep making the same mistakes, I will benefit from questioning such patterns. Patterns reveal entrenched or hidden thinking and even obscured intentions. 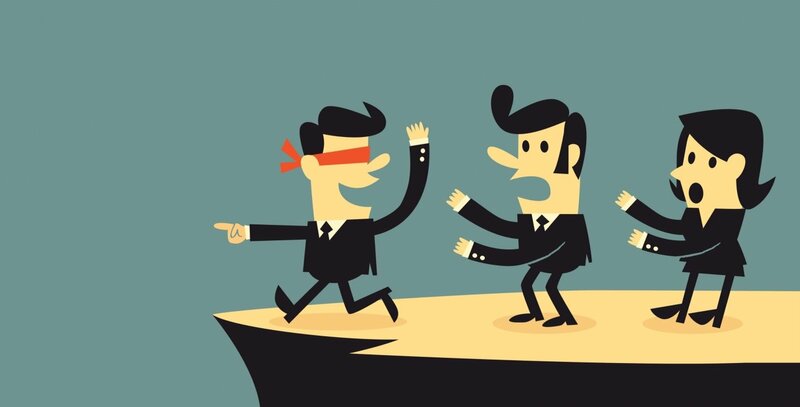 The consummate learner welcomes error-patterns to uncover blind spots or concealed intentions, while the perfectionist finds this same revelation profoundly threatening. The perfectionist confuses error with failure, and failure must be avoided at all costs. We explore these attitudes in a previous blog on fixed vs. growth mindsets. viewed errors simply as data to be assimilated? shared errors quickly with others? anticipated errors as much as we expect other measures? captured our errors, to search for patterns to new insights? looked beyond errors to hidden alternatives? In sum, embracing errors and learning from mistakes leads to wonder. Consider this messed-up politico who, by most measures, might be called a loser. He was defeated for state legislature before being elected. He was defeated for speaker of the statehouse. He was defeated for nomination for Congress before being elected. He lost renomination to Congress. He was rejected for Land Officer. He was defeated for U.S. Senate. He was defeated for nomination for Vice President. He was again defeated for U.S. Senate. Then, he was elected President of the United States. If you haven’t guessed, that loser was Abraham Lincoln.